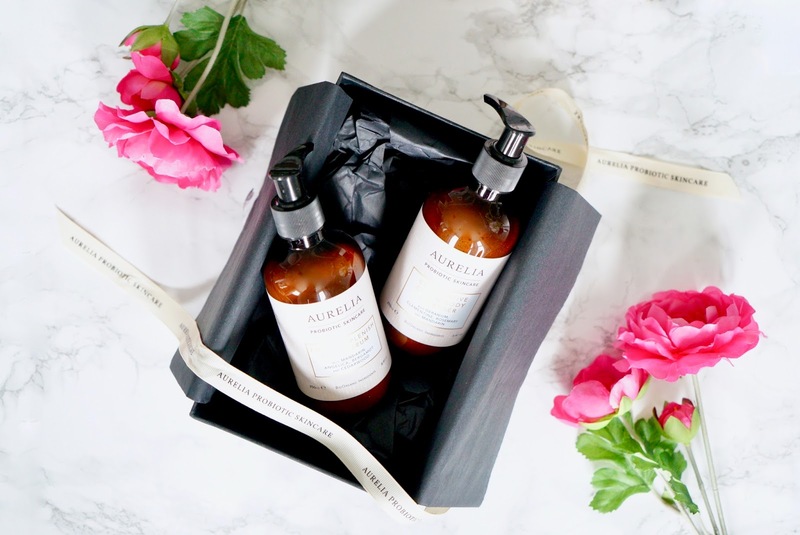 My shower routine has had a major upgrade recently with two new gorgeous products from Aurelia that have put my Sanex shower gel to shame. I was so excited to receive the Aurelia Firm & Replenish Body Serum* and Restorative Cream Body Cleanser* to try out. This has always been a brand I've admired after using their day moisteriser and it was a little bit of skin heaven. 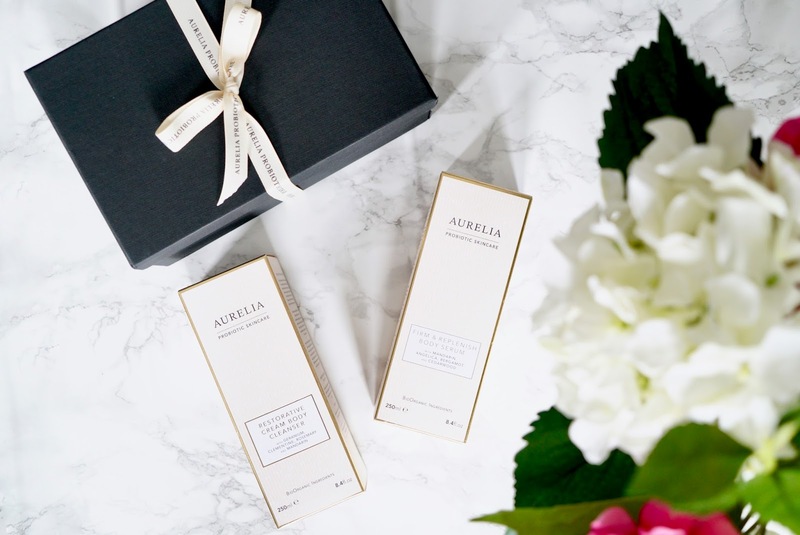 With so many natural beauty products on the market, I was intrigued to find out more about Aurelia and what makes them special. 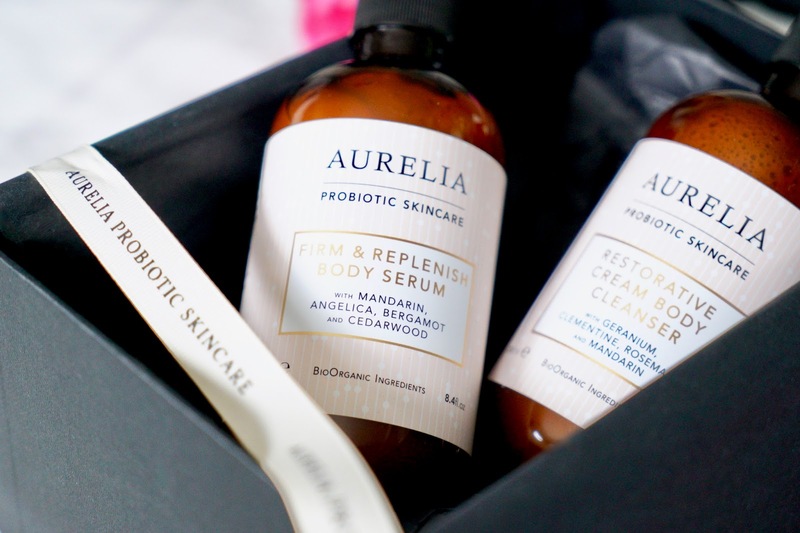 Aurelia is know for probiotic skincare, products that are combined with ethical, cruelty-free and sustainable BioOrganic ingredients. So what does probiotic mean? Apart from those yoghurt drinks...Well in Aurelia case it's about restoring and protecting our skin naturally, boosting collagen and healthy skin cells with no live bacteria. I love the ethics behind this brand and that it's made in England without any skin nasties such as sulphates and mineral oils. With all this in mind I was ready to absorb my skin with these lovely products. First though the packaging is so chic and pretty, I mean check out the matte black box with simple cream ribbon - dreamy right? This is the first body cleanser in their range and it's nice and gentle. It's packed with vitamin E, antioxidants and omegas to protect, cleanse and hydrate your skin. It also contains aloe vera to sooth and nourish your skin, leaving it with a soft silky finish without irritation or dryness. The scent is so therapeutic with geranium, clementine, rosemary and mandarin - very indulgent and spa like! I've really been enjoying using this as part of my shower routine, it feels super nourishing. I feel like I'm in a hotel or spa whenever I use it and once rinsed off, my skin feels really soft and cleansed and the scent stills lingers. This is the first time I've ever used a body serum on my skin. It sounds super fancy and at a high price tag I had high hopes for this product. It's an intensive treatment for your skin and as the name suggests keeps your skin firm and replenished. It contains vitamin E, omegas 3,6 &9, essential oil blend of mandarin, angelica, bergamot and cedarwood. The fragrant again is very aromatic but it might not be to everyone's taste. The texture and consistency is thinner than I expected. I pumped out too much the first time and had to work quickly to blend into my skin. There was no stickiness and I loved the scent lingering on my skin. There are lots of benefits to this body serum, you can use everyday to firm and replenish, post workout to cool and nourish tired limbs, after sun to sooth and repair as well as layered under a body oil to pack in the hydration. It's also safe for mums to be to keep skin soft and supple. I thought my other body moisturisers did a good job but this takes it to another level of body care! With the high price tag, this is a luxurious beauty brand. So is it worth the splurge? I would easily spend £30-40 on skincare so maybe this isn't too unreasonable on body care, I mean skin is still skin right? 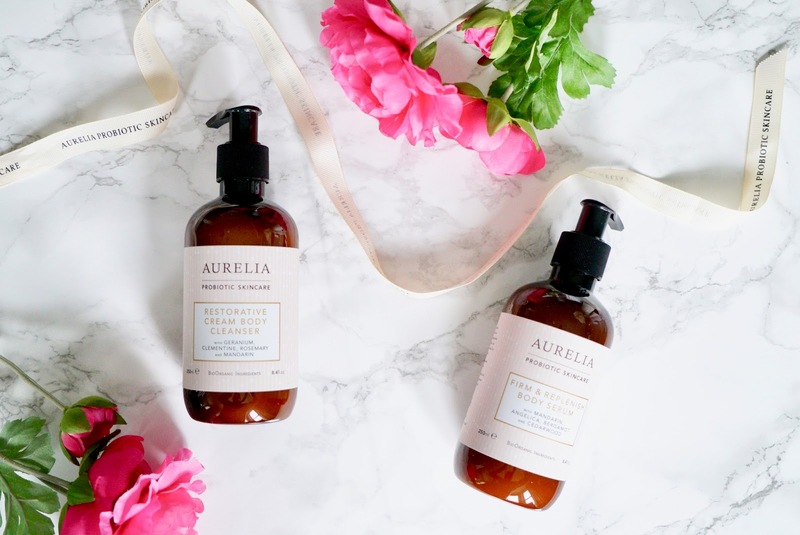 I've really enjoyed finding our more about the ethos behind Aurelia and how nourishing and natural the products are. I would love to know what you think, have your used this range before, what are your recommendations? 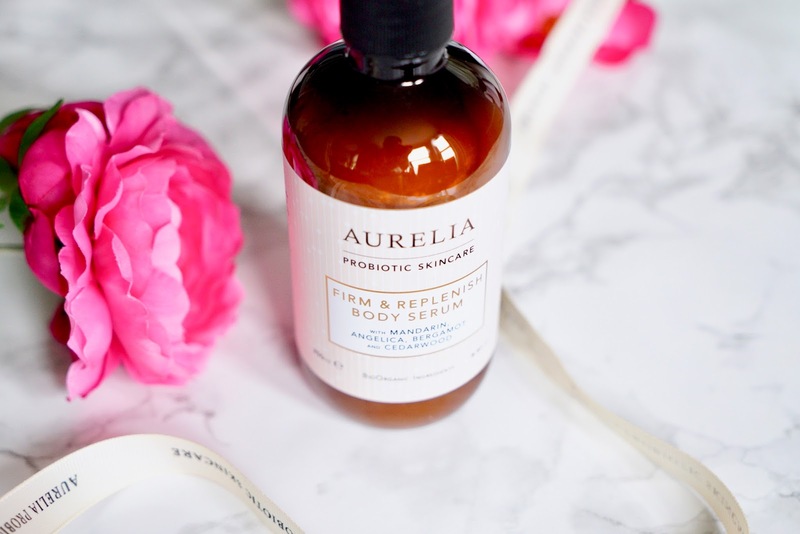 I've also got a discount code for you guys, use BODY15 to get 15% of the Aurelia Bodycare range - happy shopping! What's your favourite natural beauty brands?